Coachella 2019 will be taking place over two weekends this April – April 12-14 and April 19-21. 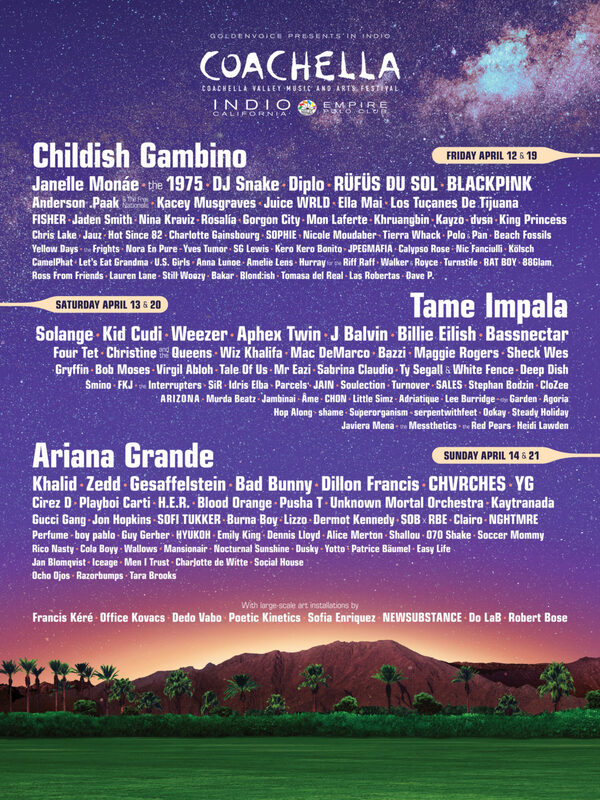 The star-studded lineup for the Indio, California music festival has just been released, and it is full of top artists from around the world and across genres! 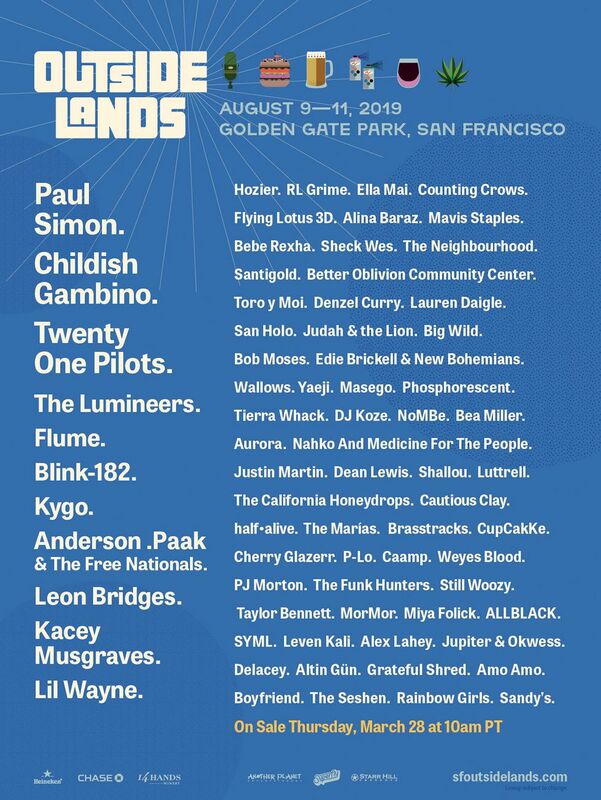 Headliners for this year’s event include Ariana Grande, Tame Impala, and Childish Gambino. 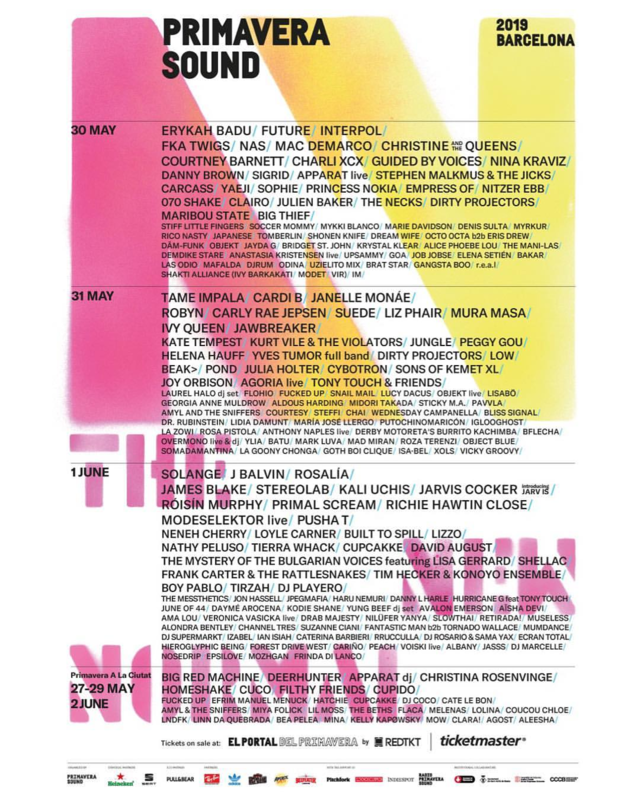 More artists performing this Coachella 2019 are Janelle Monae, The 1975, DJ Snake, Diplo, BLACKPINK, Solange, Kid Cudi, Weezer, J Balvin, Billie Eilish, Wiz Khalifa, Bazzi, Khalid, Zedd, CHVRCHES, Gucci Gang, Kacey Musgraves, King Princess, Jaden Smith, Virgil Abloh, Ella Mai, ARIZONA, Sabrina Claudio, Dillon Francis, Idris Elba, Aphex Twin, and many more. You can view the first round of lineup announcements in the poster above. Coachella 2019 festival passes go on sale starting Friday, January 4 at 11 AM PST. Tickets will be available for both weekends as general admission and VIP options. Make sure to read up on all the ticket-buying processes so you are ready to snag your entry in to the big event!